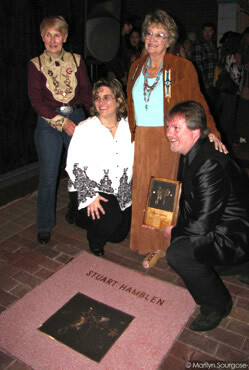 Master songwriter, film actor and America’s very first singing cowboy heard on the radio, Stuart Hamblen was recently honored posthumously with his own sidewalk plaque on the Walk of Western Stars in Santa Clarita, California. 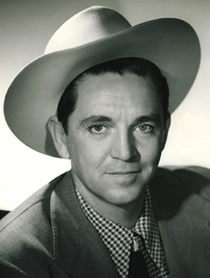 Hamblen wrote a host of classics, many of which have been performed on Gaither Homecoming recordings, including “It Is No Secret,” “How Big is God,” “This Ole House” and many more. Bill Gaither reflects, “Stuart was a model songwriter for Gloria and me and was a beacon of light for the world.” For more information about Hamblen’s music, visit HamblenMusic.com, run by Bill Lindsay, who is Hamblen’s grandson and the president of Hamblen Music Company.